Scientists have long wondered about the possibility of polar bears slowing down their metabolism and entering a state of walking hibernation when food is scarce in the summer time, but a new study says that is not the case. This indicates further trouble ahead for polar bears, as they may struggle to adapt to continued climate change. Previous research suggested that polar bears were able to enter a hibernation-like state, but this recent study shows no evidence that a polar bear’s need for food drops during the summer months. 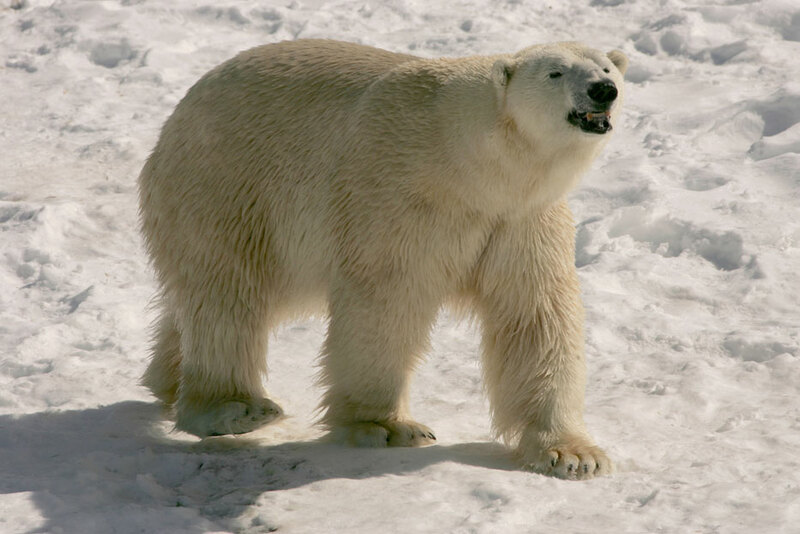 John Whiteman of the University of Wyoming led the study, which tracked polar bears over the course of two years in the Beaufort Sea north of Alaska. “We didn’t find anything that looks like hibernation,” Whiteman said. Polar bears will build up fat during the winter months in order to get through the warmer summer months when food can be scarce. However, with global climate change, summers in the arctic are getting longer and longer, as the ice won’t freeze until December and will start to thaw earlier in the spring than in the past. Since we now know that polar bears don’t enter a hibernation-like state when their food intake drops during the summer, we know that it’s getting increasingly difficult for them to survive summers that continue to get longer. It’s possible for polar bears to lose well over 200 pounds over the course of a summer, which can leave them struggling to survive. If polar bears were capable of reducing their body temperature and energy needs for a significant chunk of the year like other bear species, they would be better able to adapt to the climate change that is having a meaningful impact on their habitat. However, because they don’t, it reinforces how much the species is threatened by a declining habitat and a declining food supply as a result of global warming.